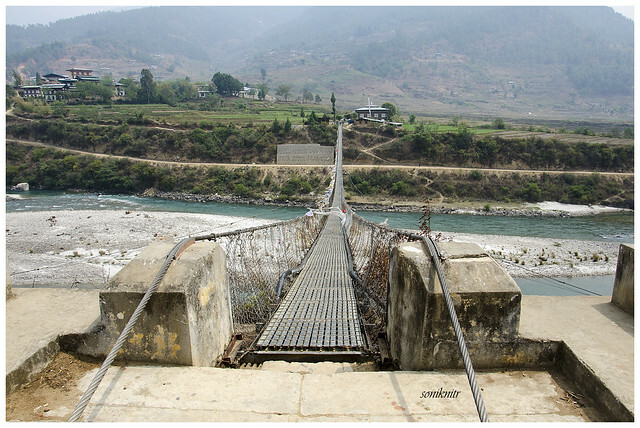 The Punakha Suspension Bridge is located very much near to the Punakha Dzong and is the longest suspension bridge in Bhutan built above the Po Chu river. The bridge is broad and built in a very nice way and you will be amazed to see that it doesn’t shake so much which can cause a sudden amount of panic among the tourists. The bridge also connects to the nearby villages. There are mountains surrounding the bridge from all the sides which also gives a breathtaking view.